Washington bus leasing and rental should not be complicated. Nevertheless, most us leasing and rental companies charge enormous prices for low-end buses that customers are forced to settle for. Not National Bus Sales – not at all. At NBS, we believe in providing a large selection of affordable buses that keep our customers coming back for more. One look at our lot will prove that to you. National Bus Sales offers the best bus leasing and rental options in the country, period! Our line features buses from some of the biggest names in the industry, including Starcraft, Federal Coach and Glaval. 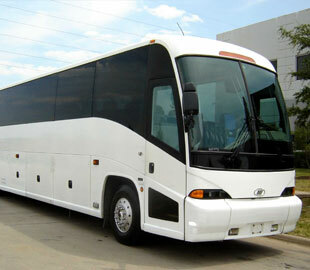 If you need a special feature on your bus, we have select buses for rent that can accommodate. We offer A/C, lifts, audio/video, reclining seats, and more in our fleet of buses for lease and rent. When it comes to flexibility, you won't find more options than the ones here at National Bus Sales. We offer monthly and yearly bus rental and lease contracts for Washington, including TRAC leases, lease purchases, operating leases, and more. For all of our bus leasing and rental contracts, we require a $2 million liability insurance policy, as well as a security deposit at the start of the agreement. This protects you, us, and the vehicle at all times. We ask that you have a licensed driver available to operate the bus, but we would be happy to deliver it to you. If you talk to one of our customer service representatives, you can learn more about how this process works, step by step. 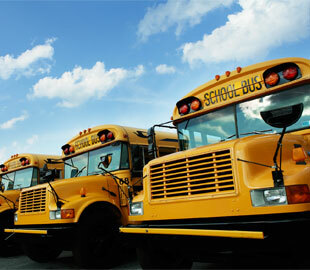 At National Bus Sales, we even offer bus financing for Washington. Simply fill out a credit application on our site, and we will see what kinds of terms we can work out for you. Give National Bus Sales a call today @ 800.475.1439 so we can start helping you.